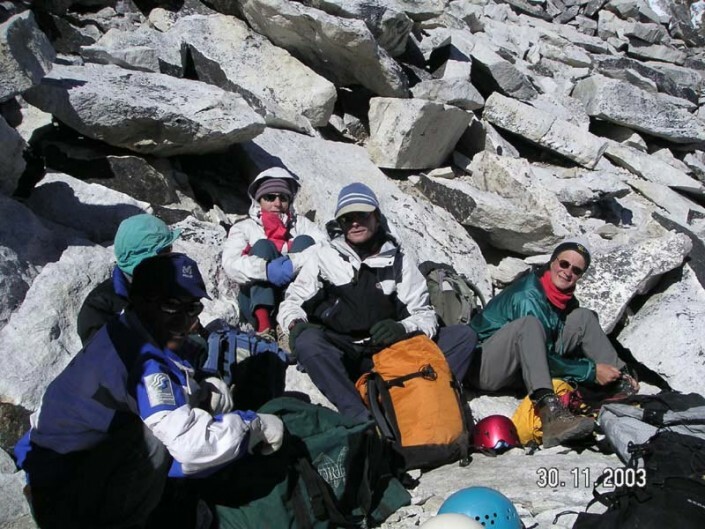 Climbing Team: Rick Marchant (guide), Isabelle Santoire, Sandra Rutherford, Arie Vreugdenhil, Henk Wesselius & Katja Staartjes, Pema Norbu Sherpa & Dawa Tenzing Sherpa. 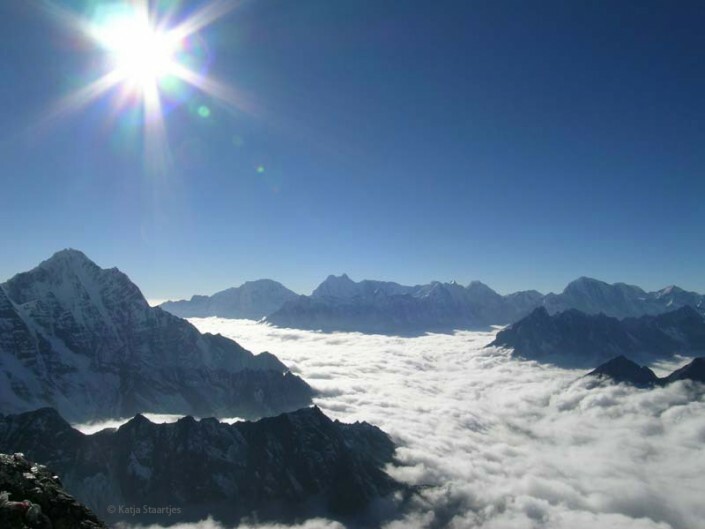 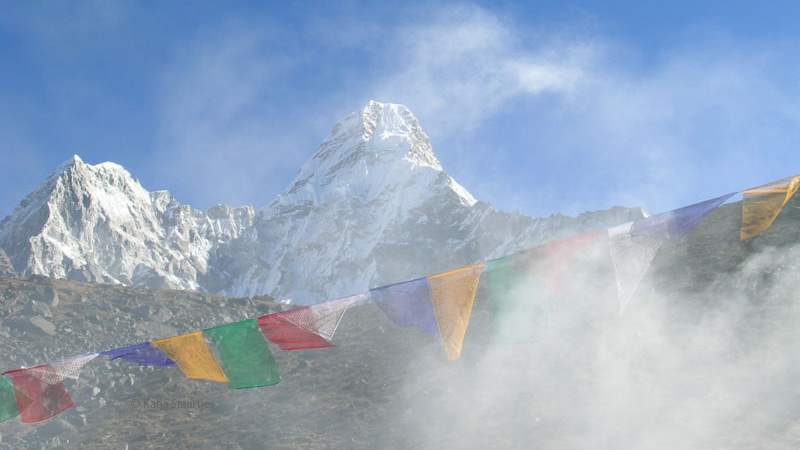 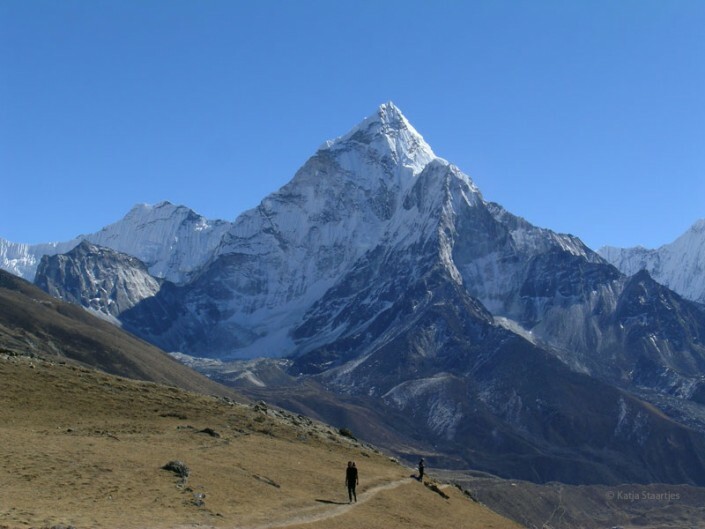 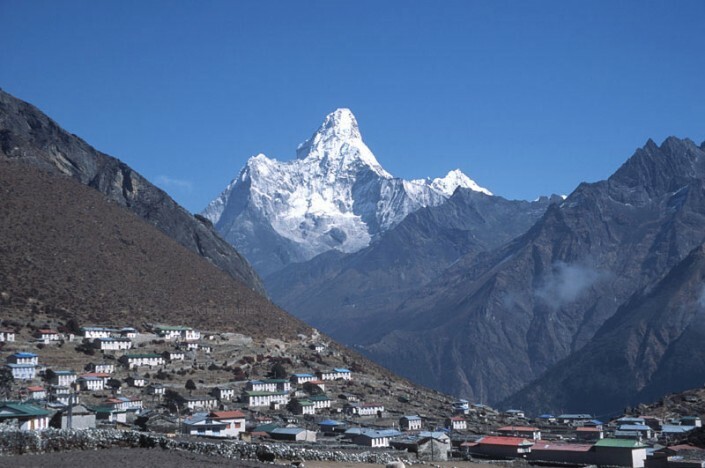 Ama Dablam, situated near Mount Everest, is regarded by many as one of the most beautiful mountains of Nepal. 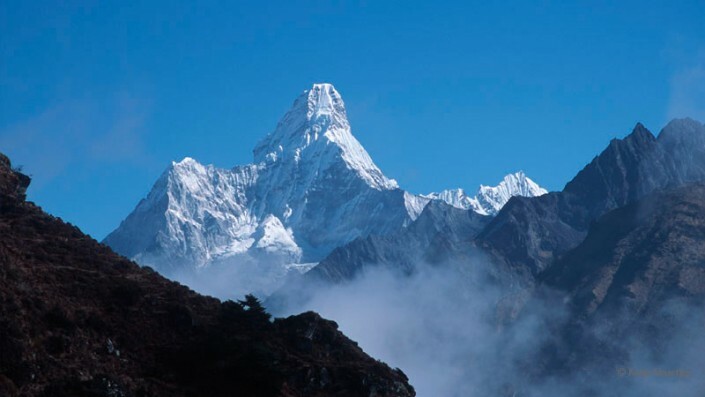 In the book entitled High in the Thin Cold Air, Sir Edmund Hillary wrote: “Most spectacular of the lot is Ama Dablam: a colossal rock and ice monolith shaped like a great tooth. 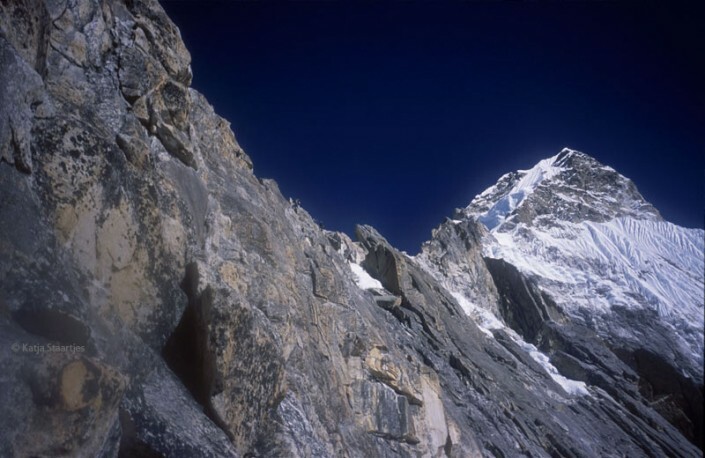 The first impression is one of incredulity: ‘This does not exist!’ was the reaction of one of the members of our group when in 1951 we looked up at the mountain for the first time.” The first expedition to climb this mountain was made by a British team in 1958. The summit was reached for the first time on 13th March 1961 by the members of an expedition led by none less than Edmond Hilary himself! 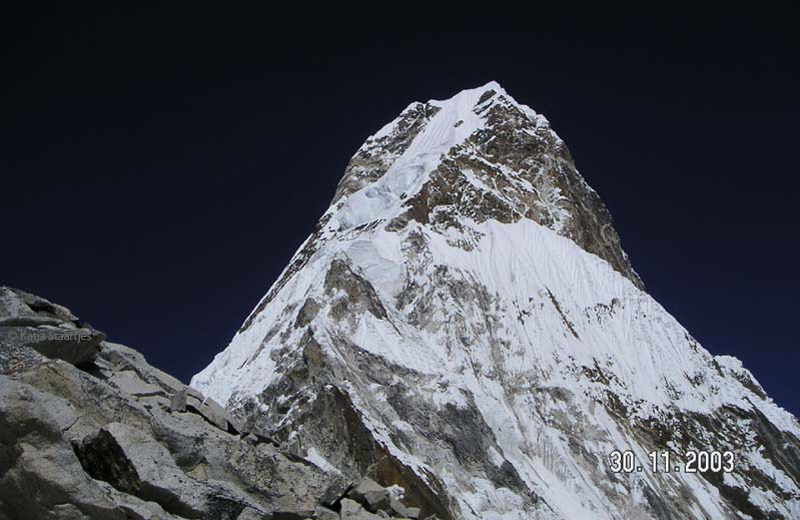 Until 2003, only three Dutch nationals managed to reach the top of this mountain, all by means of the normal route: Robert Eckhardt in 1995, Frits Vrijlandt and Anne Karliczek in 2002. 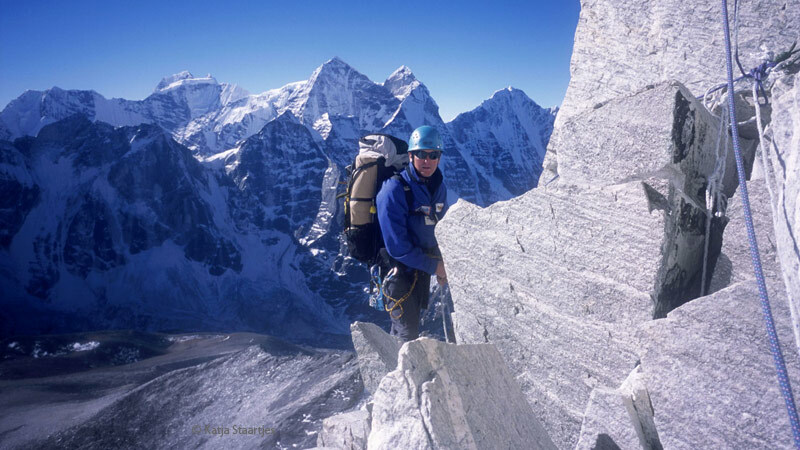 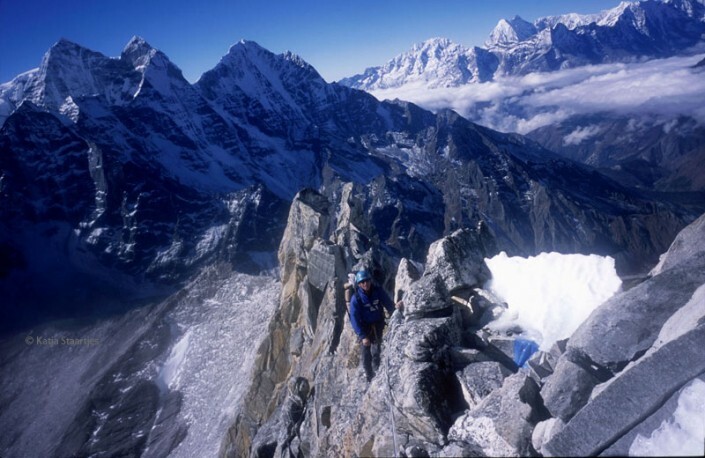 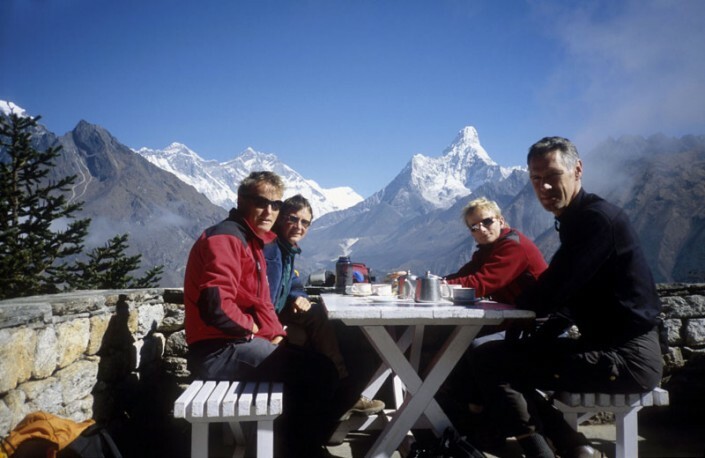 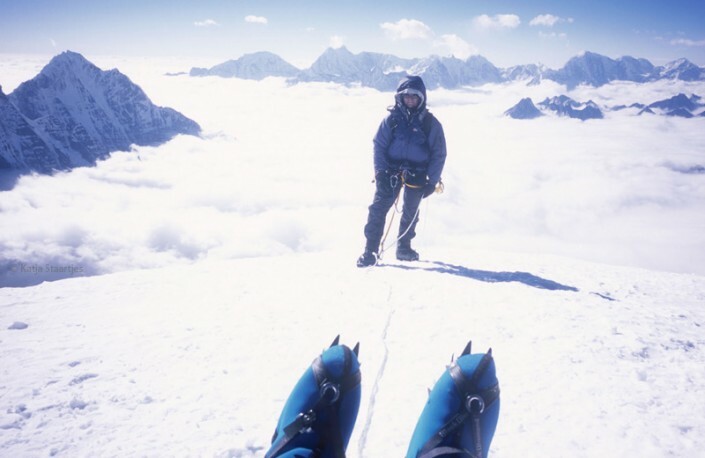 “Our friend Ray Delaney (owner of Kathmandu Outdoor & Travel) and Joe Simpson reached this peak already in the spring of 1990, but Ray did not hold a Dutch passport at the time. 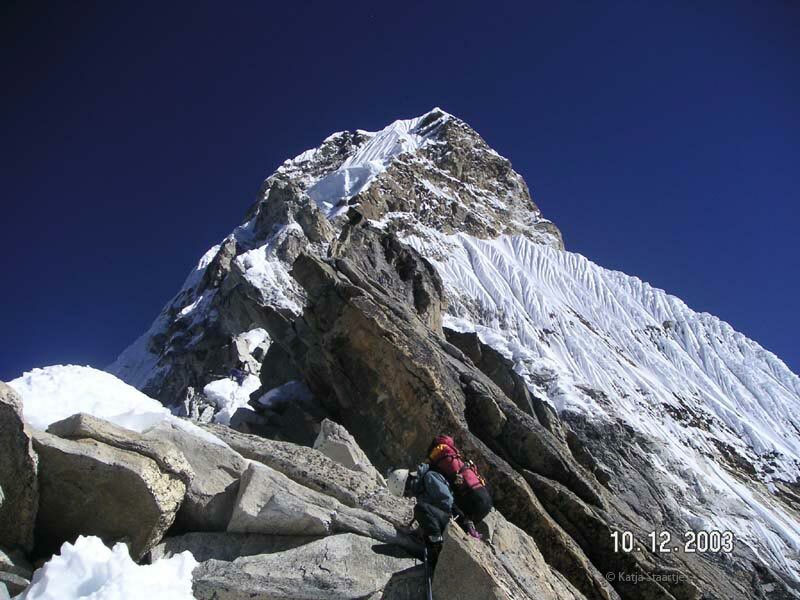 This was a very high-level performance, considering that the men were the only team to make the climb, and had no support.” says Katja. 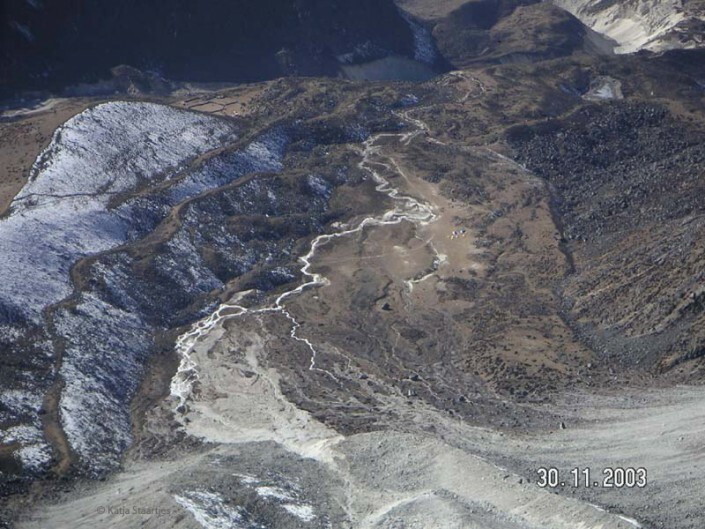 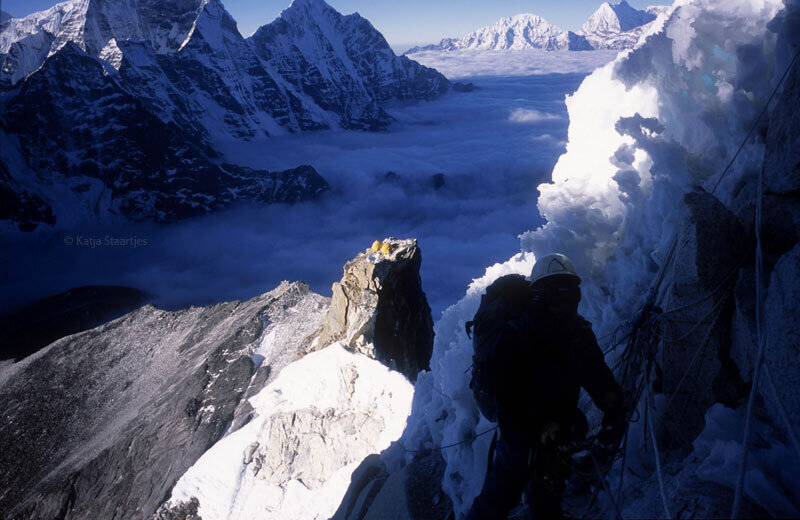 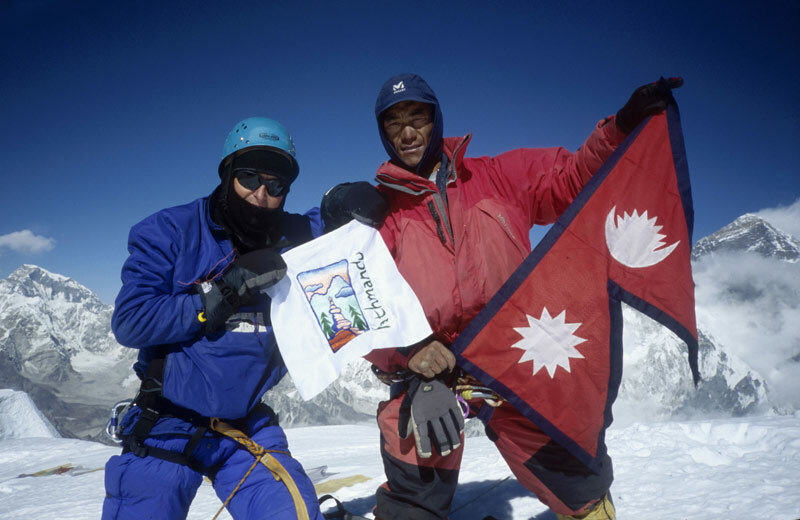 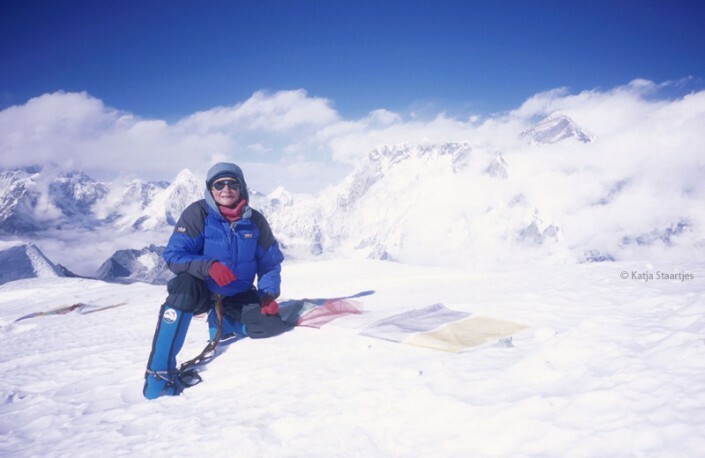 Much energy was dedicated to plan an expedition to Makalu in 2001 and 2002, but after the events of 11 september 2001, it was not possible to find the finances for it. 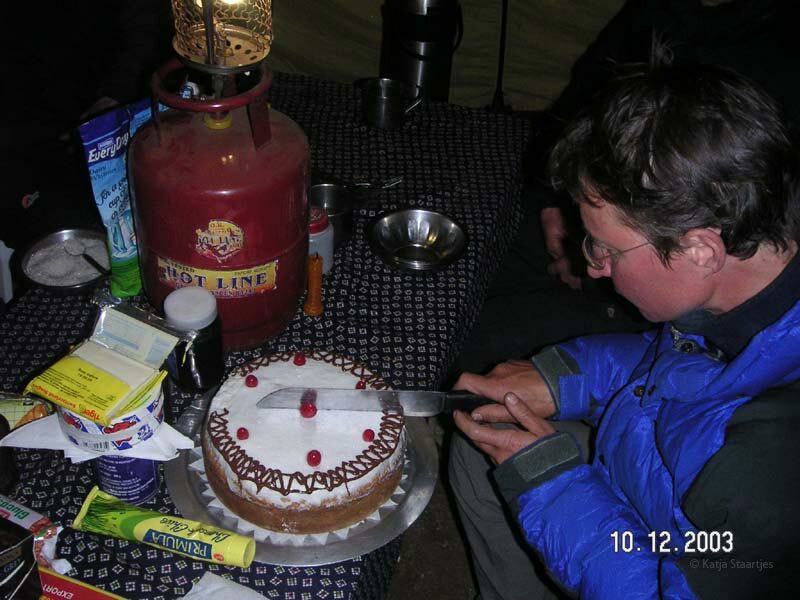 Following a lot of polishing of the Makalu expedition plans and some time for reflection, Katja Staartjes and Henk Wesselius decided to turn their attention to a smaller, although technically more challenging peak. They set their sights on the Ama Dablam, and together with Arie Vreugdenhil, a close Dutch friend, they then went in search of a small-scale expedition to join. They found it through the British agent Jagged Globe. 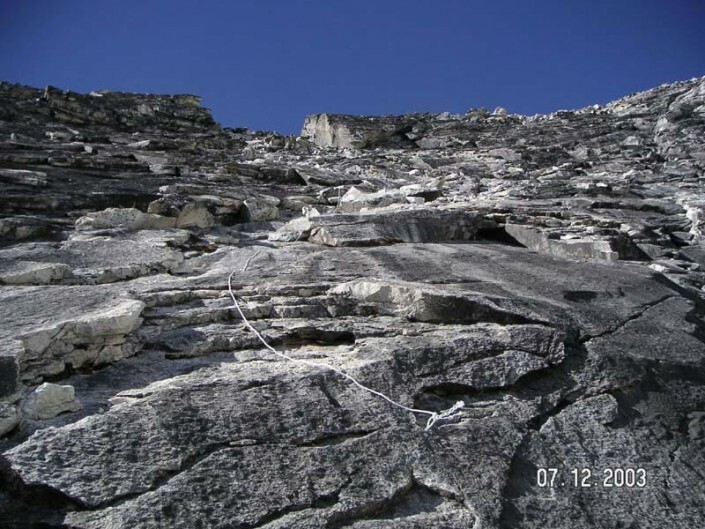 Besides the expedition leader, Rick Marchant, the team comprised only two other climbers: Isabelle Santoire and Sandra Rutherford. 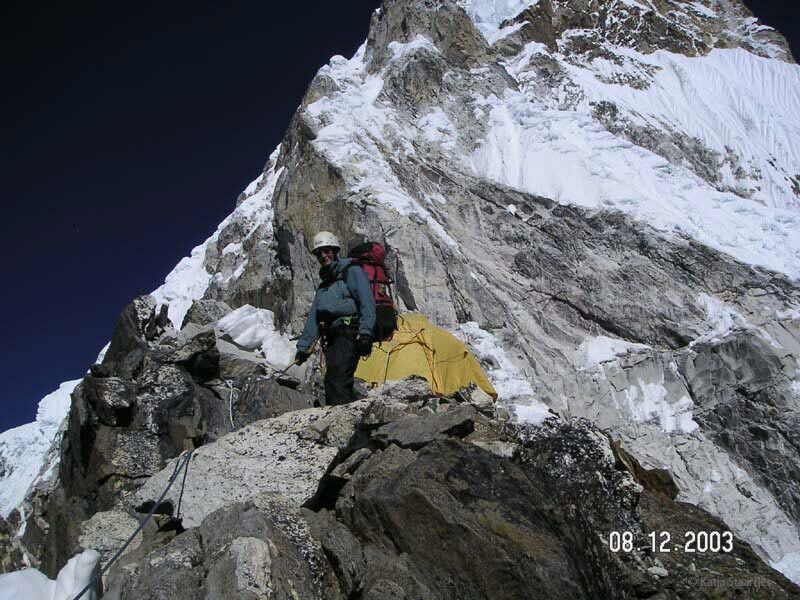 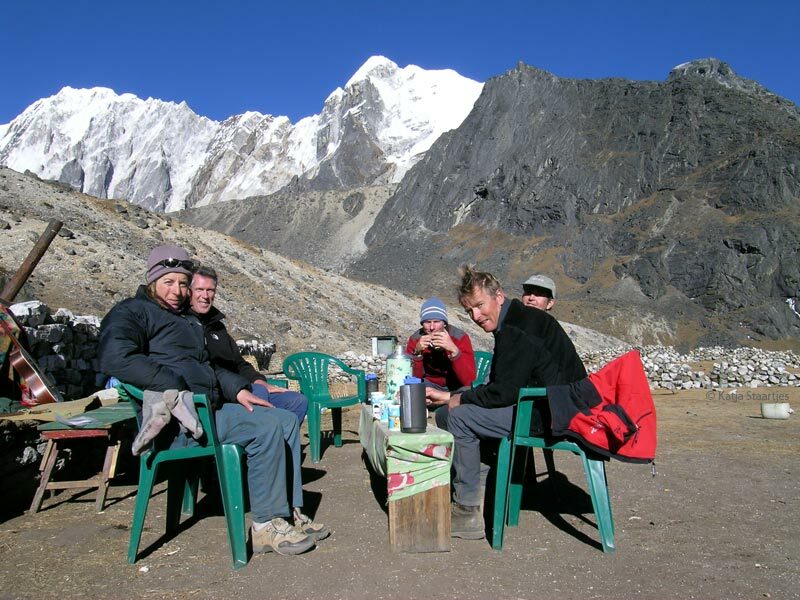 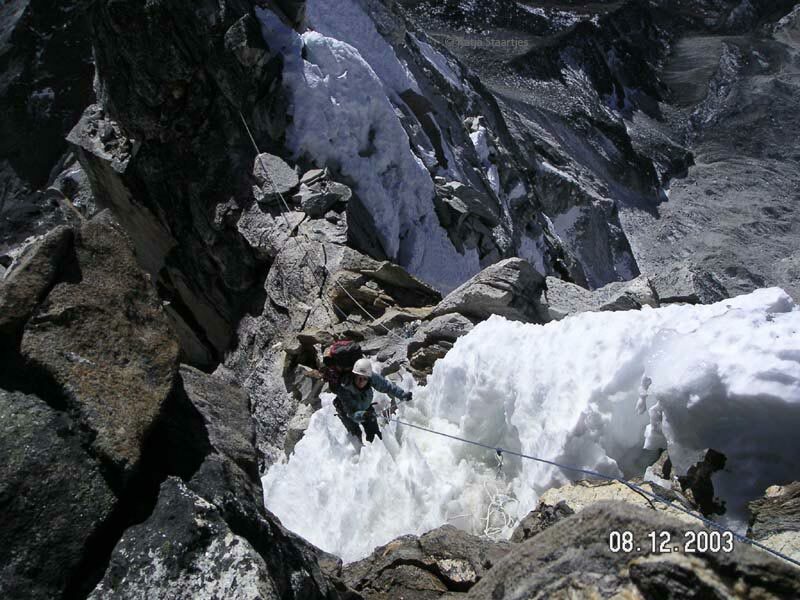 The team of six followed the regular route, supported by two Sherpas. 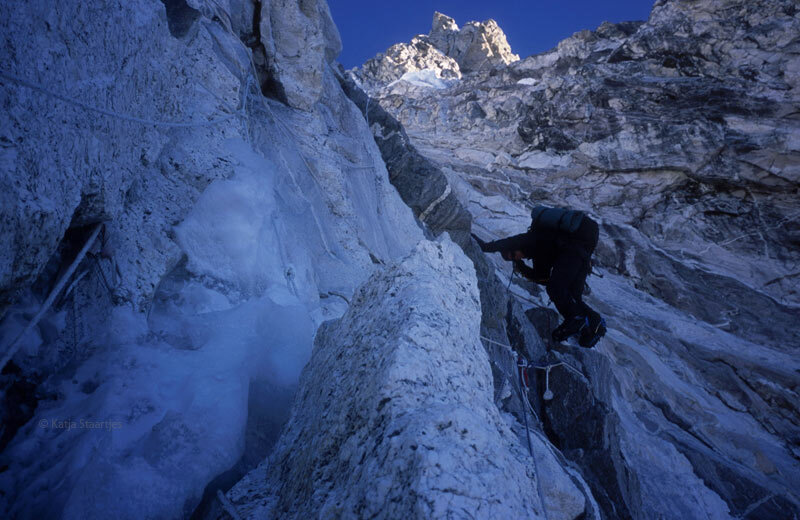 Because it was late autumn, the team was the only one on the mountain – today a unique situation. The weather was stable at this time, although it got colder by the day, with strong winds. 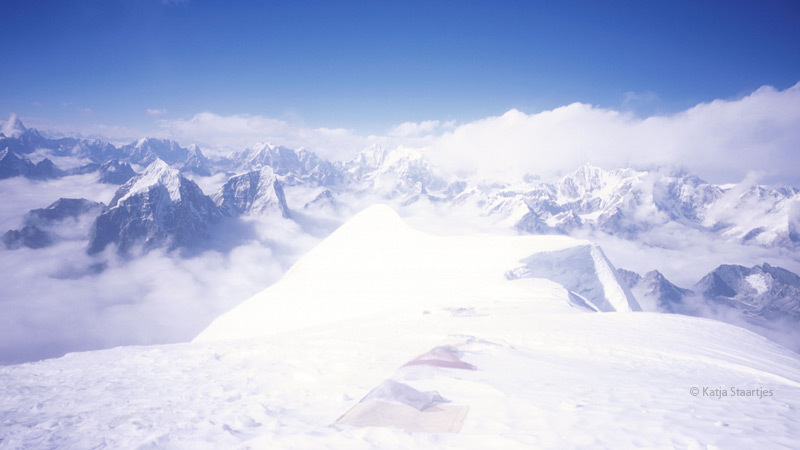 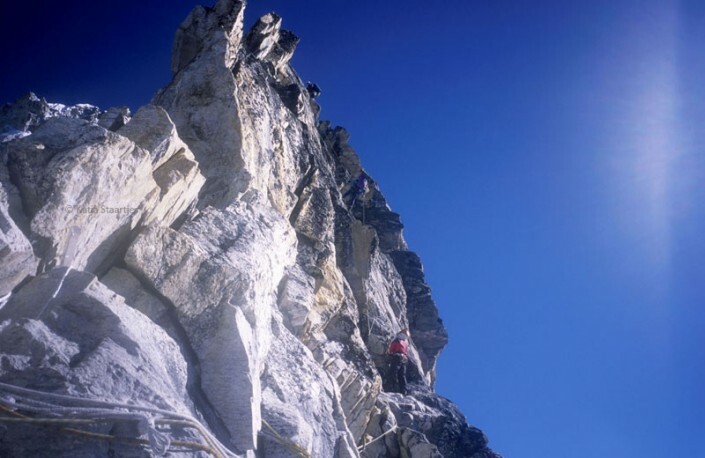 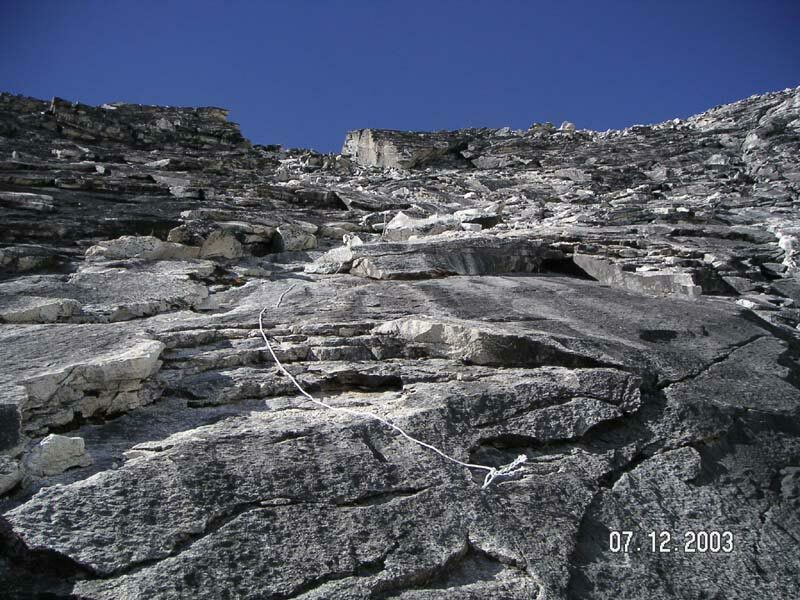 Partly because of this, the summit was scaled from Camp 2 at 5,950 m; a sort of eagle’s nest in the shelter of the ridge. 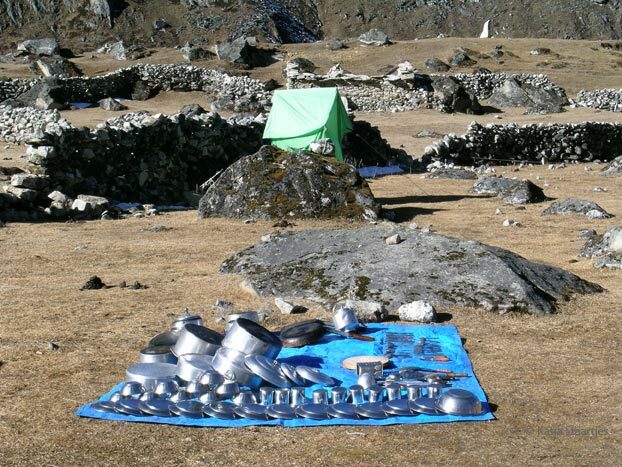 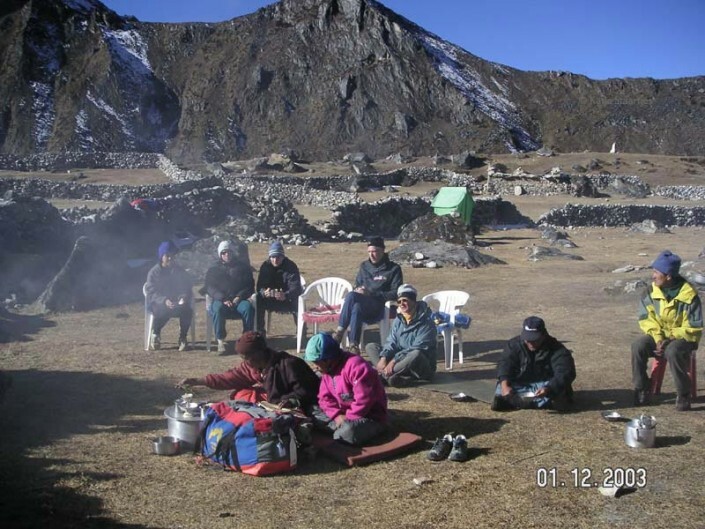 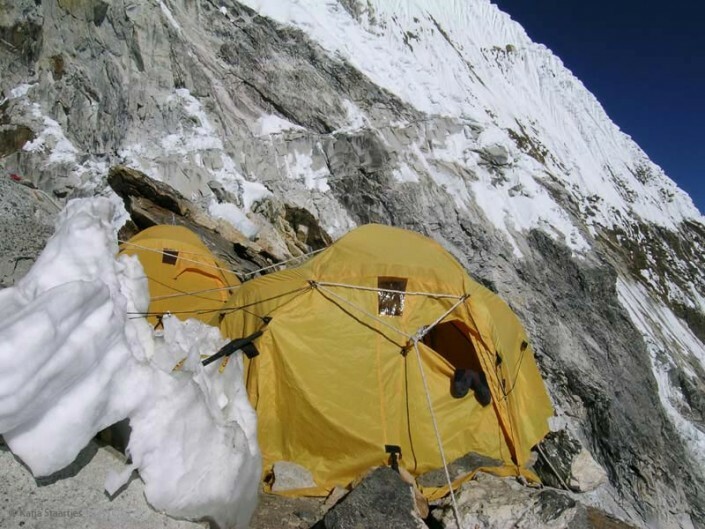 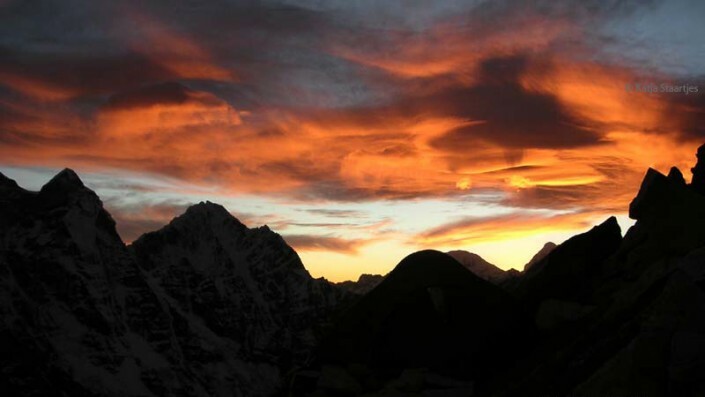 Most of the summit attempts usually start at Camp 3 at 6,300 m, because Camp 2 can only accommodate a few tents. In this case there were no other teams, however, so here was just room enough for us. 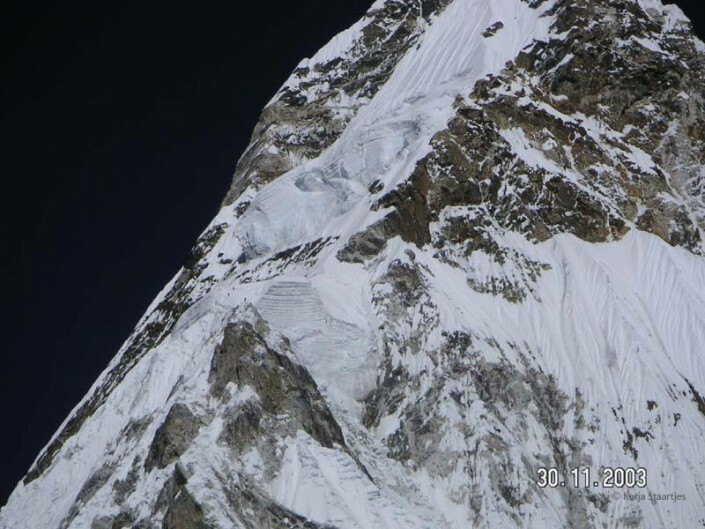 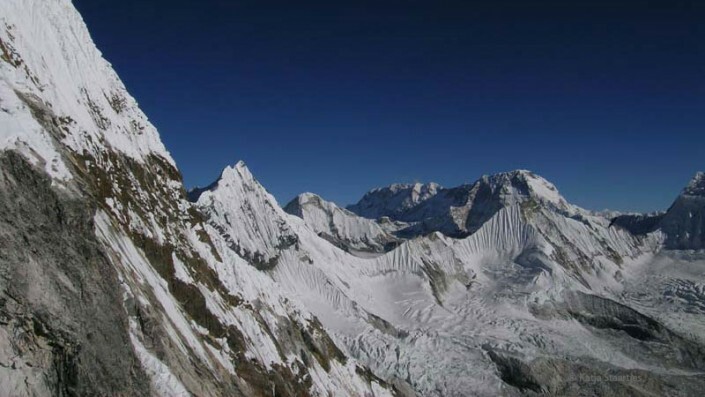 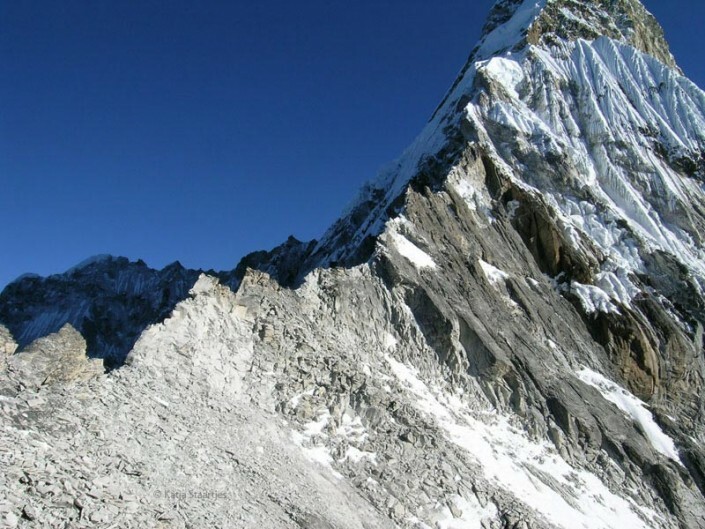 Four of the six team members reached the top, supported by the Sherpas, on December 9th, making it officially a winter climb. 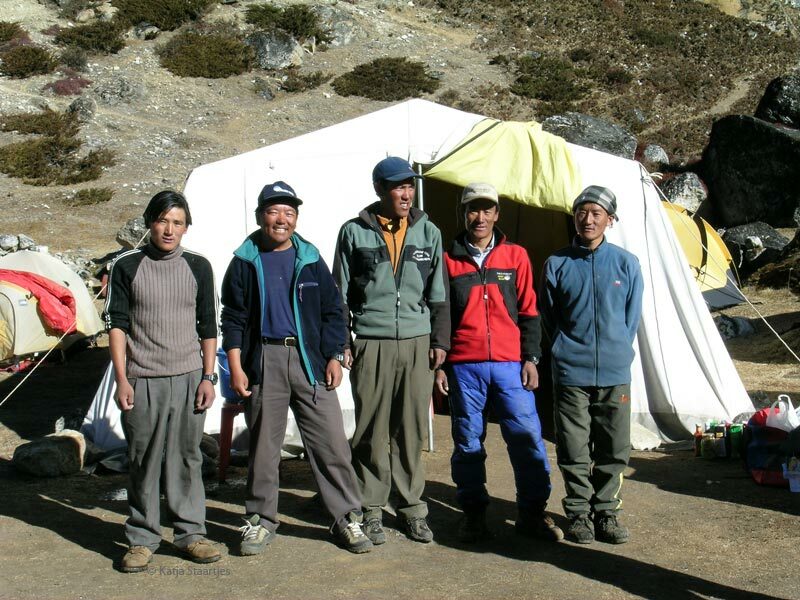 The entire team returned to the base camp in good condition. 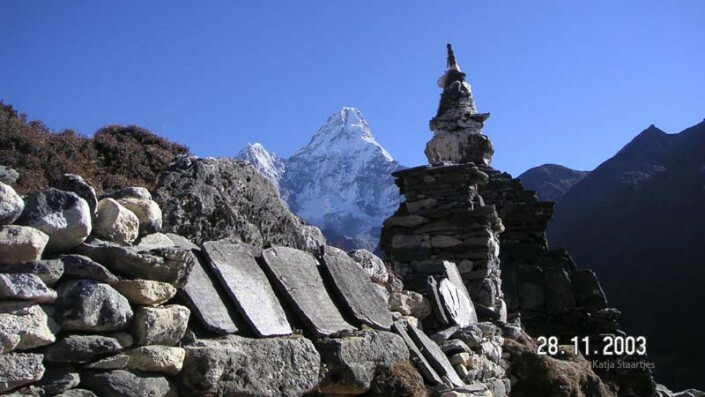 And there was even enough time to return to Lukla and Kathmandu by way of the Cho La pass and Tragnag. 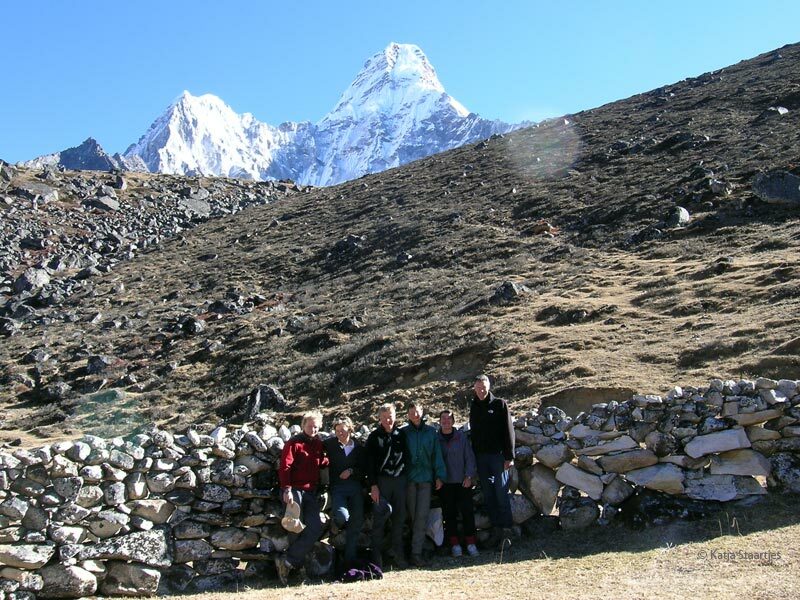 What a wonderful expedition en experience!